When you teach any subject, it can open your eyes to new perspectives and experiences. 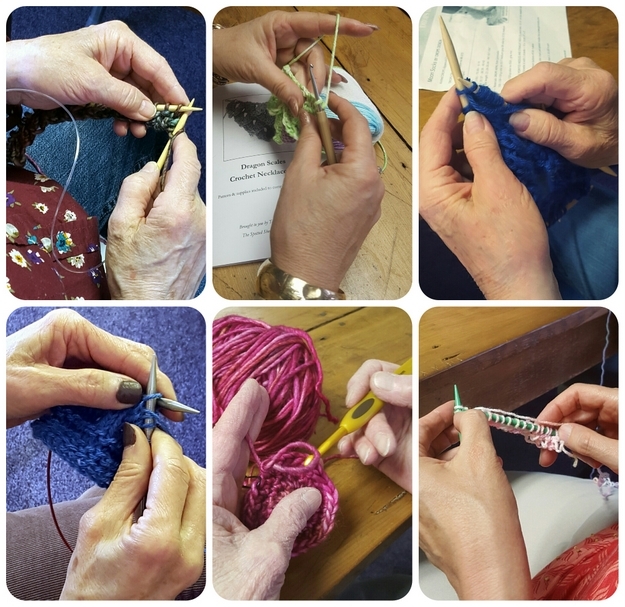 For years I taught knit and crochet classes at my local yarn shop, meeting hundreds of wonderful people of all ages, teaching them the basics and exploring lots of yarn projects. Sadly, the yarn shop closed earlier this summer ... things haven't been the same since then. It's made me think a lot about the experience of teaching and what I've learned along the way. Being patient, not rushing, and knowing that every student has their own way of learning is pretty important, too. In a knit or crochet setting, I use a lot of verbal directions - I've found that often, if a student sees my hands, they get stuck on wanting to hold things exactly the same way. But in my opinion, how the needles or yarn is held is a personal preference, and honed over time. When a natural inclination lends itself, I do encourage continental knitting with left-hand yarn & holding crochet hooks overhand... but it's ultimately not up to me. As a teacher, being calm and reassuring is crucial, as is not being afraid to repeat yourself. teach in groups, or one-on-one. If a student doesn't specifically request a particular learning style, it's important to try many ways with them until you find what "clicks". When you think you're done - ask them to show you what they've learned - reinforcing your efforts. There is something to learn from every person you meet. For the most part, our daily lives don't involve our fingers doing precise, coordinated work for extended periods ... look at this from the perspective of the newcomer. 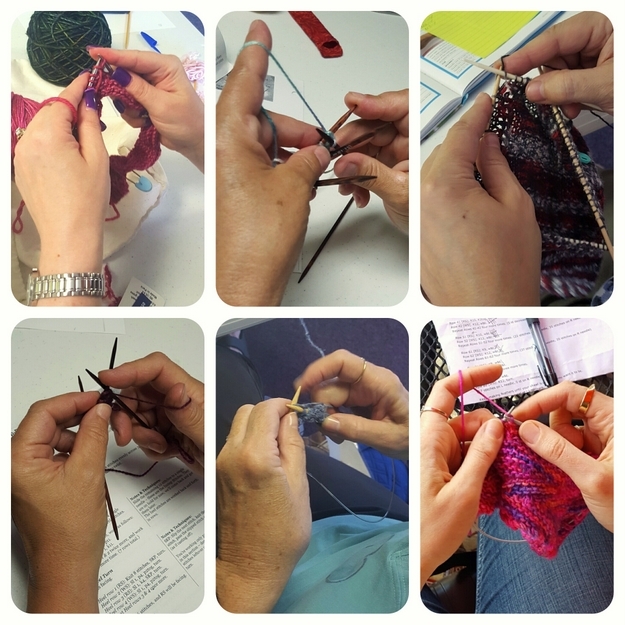 Learning to knit or crochet involves using our hands in ways they're probably not used to. Getting comfortable holding a hook or two needles, AND controlling yarn at the same time isn't that easy, especially when combining it with memorizing the steps necessary to create various stitches. Both teachers and students need Patience and Practice. "Mistakes" when beginning are simply learning experiences - you don't have to rip them out. 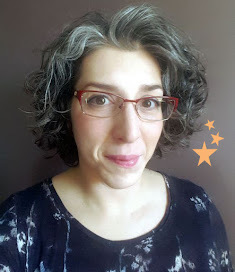 Save your trial pieces as mementos to show how far you've come when you look back at them in a few weeks; use them as bookmarks; or toss them in the trash and forget about them - it doesn't really matter. Don't take things so seriously. Earlier, in the springtime I started photographing / documenting the hands of the folks I'd been working with, I wish I had started sooner! Picture collages from tamdollsmo on Instagram. I thought it would be beautiful to see all these hands in different ways learning the same things. Maybe I'll continue... we'll see. At the end of a session, the most important thing I tell everyone is - to Practice. There's no other way to become proficient at something, or to have your muscles learn a new skill. It works. What have you taught? What have you learned?